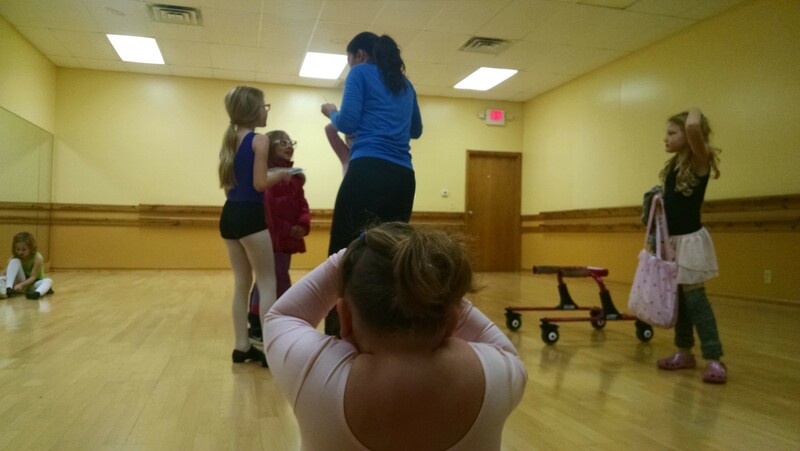 Last night’s dance class saw Namine doing more on her own. I believe I said in my last post about Namine’s dance class that I thought her walker would prove to cumbersome to be of any use. Namine, ever independent, has proven me wrong. She told me on the way to dance class that she wanted to bring her walker in, and wanted to do as much as she could on her own. True to her word, Namine did not ask for my help much — only twice in the entire hour, truth be told, and only in activities that she couldn’t do in her walker. She had decided prior to starting that she actually wanted the straps removed from her walker. The benefit was that when she was dancing in her walker, nothing got in the way of her legs’ movement. The disadvantage was that if she needed a rest, she had to lower herself down to the floor, and then pick herself up off the floor again. She didn’t complain, and never once asked for help standing back up. Namine loved being in charge of her own dancing, as opposed to having to ask for help every time she wanted to stand up. She was able to rely on herself, and only herself. The dance class was, in its own way, just as demanding as a session in physical therapy — but as usual, Namine pushed herself to her very best.